Is the Quran beyond Comprehension? Do they not then meditate on the Quran? And if it were from any other than Allah, they would have found in it many a discrepancy [4:82]. And in many other similar verses 23:68, 38:29, and 47:24). Why would God repeatedly ask the general masses to ponder or meditate on the Quran if it was beyond their comprehension? Thus, God made His message in the Quran easy to understand potentially by all people. It is so that Man cannot put forward the excuse of not having the intellect (or capability) for understanding. Then the way, He made easy for him, (80:20). If the Quran was not easy for understanding/remembrance (Arabic: lilthithikkri) then the phrase: then is there any that will receive admonition? (Arabic: fahal min muddakirin) would be made redundant. What does making the Quran easy to understand mean? It means that one can understand its meanings without lots of difficulties. So clarity is one component of the Quran - is easy to comprehend. Another is that, if one reads it with an open mind, one will understand not only the underlying meaning of what one is reading but also one will, with each cycle of contemplation, be open to new meanings that branch off from the original. And that is the beauty of contemplating the Quran: the more one contemplates its verses, the more one learns and appreciates finer nuances of meaning. 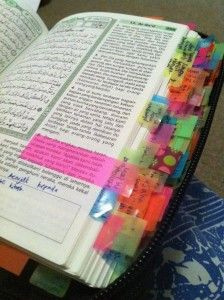 Allah has made the Quran easy to memorise. It should be duly noted that all of Books that Allah has revealed to the Prophets (peace be upon them) it is only the Quran that is memorised and stored, in its entirety, in the hearts of men. God made it easy not only to understand the Quran but also to learn lessons from its teachings, which is not surprising because it contains in it all wisdom. Alas, although there are still many memorisers of the Quran, where are those who contemplate, study and receive admonition from it? The worst creatures in God’s eyes are those who are [wilfully] deaf and dumb, who do not reason (Arabic: la yaAAqiloona) [8:22].